Amazon's top home audio product this holiday was a turntable, besting an Apple Air Touting its success this Christmas shopping season, Amazon revealed on Monday that its top selling home audio product this year was the Jensen JTA-230 3-Speed Stereo Turntable with Built-in Speakers. While it features a USB port for converting vinyl records to digital, and features an auxiliary input for connecting a digital media player, the No. 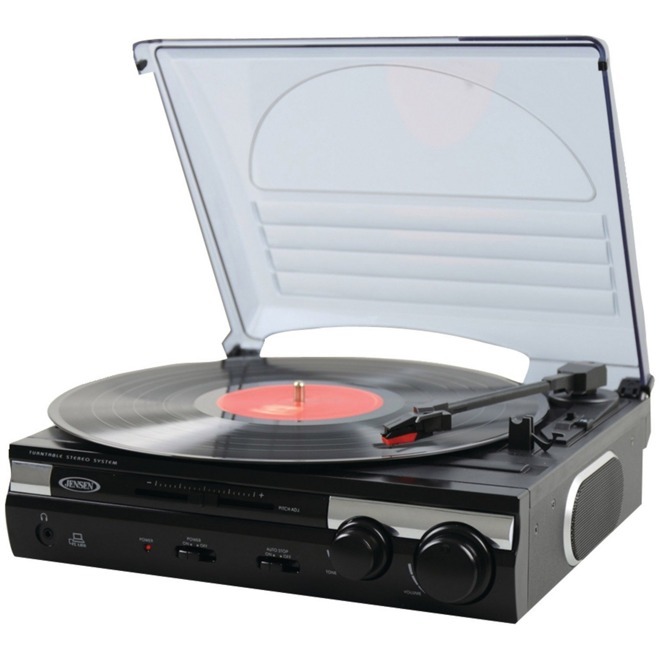 1 bestseller is decidedly old school, playing 33, 45 and 78 RPM records with a belt-driven three-speed stereo turntable.